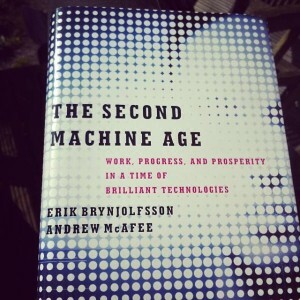 The first machine age was the Industrial Revolution which ran from about 1760 to the middle of the 19th century. It changed everything, disrupting the agrarian-based life of most people and hurling everyone into the world we see around us. 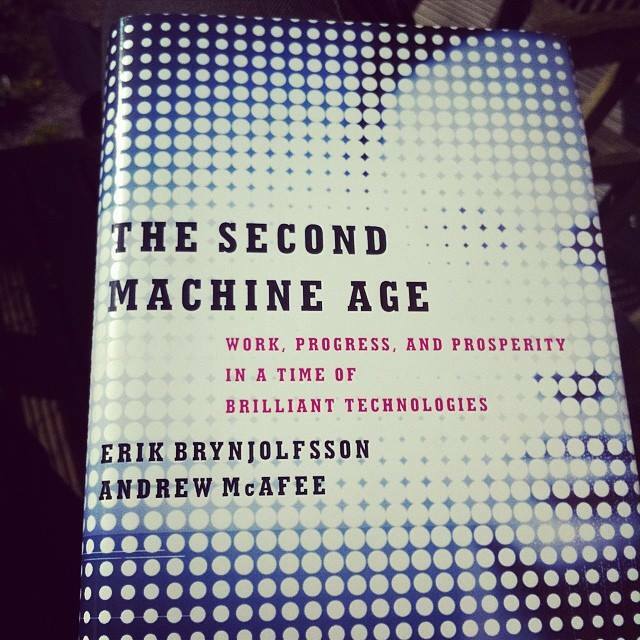 This book, by two MiT professors, suggests that we’re now in a second machine age, a second industrial revolution, driven by technological development that will change the world even more fundamentally, and much, much faster. They present an excellent argument, drawing on the knowledge of people at the cutting edge of all the disruptive changes now affecting every aspect of life – from Silicon Valley pioneers to economists and academics. It’s certainly an important book for the times, bringing together all the many strands that cause those queasy fears that many experience as comforting familiarities fall away. But why should you read it? Because as with the first industrial revolution, there will be winners and losers (in the 18th century, the losers were all those poor field workers who had to uproot to work in the dark satanic mills. The winners were those who seized control of the emerging technologies). If you’re planning your future, your career, or thinking ahead for your children’s sake, there is vital information contained within. Tip: don’t become an accountant, a driving instructor, or do any task that involves repeating a process. And really, truly, do not give up on education – go as far as you can. The winners will be people who have ideas, who can create, whether in business or art. They’ll set up their own businesses, get hired as freelancers, and be handsomely rewarded. The losers will be anyone who offers their labour, who performs a task for the benefit of others. Read the book to find out why this is true, and what it means for society. The authors make their case with an easy-reading style backed up with lots of solid evidence, but it loses a point, possibly unfairly, for an issue that is probably beyond their control. Two chapters are devoted to recommendations, short term and long term, that can help us get the best out of the massive change that is coming to the world in the next ten years. But they are generally far too broad brush. That’s because, as the authors point out, it’s so hard to predict how fast these changes are going to come: the rate of disruption is accelerating and the churn is getting wilder because one small innovation influences a great many more. The book is not wholly comforting – the pressures on society are going to be huge – although it could be. The message is plain. We can’t resist these changes. They’re coming whether we like them or not, and if we try to fight them, all our energy will be wasted in a futile endeavour. But if we try to manage that change we can minimise the destructive elements and maximise the vast potential benefits for society as a whole. All we need to do is to pay attention now.